The Prince of Asturias Awards for Sports and for Concord will be announced in September. The 2012 Prince of Asturias Award Juries met in Oviedo during May and June, except for the Sports and Concord Juries, which are to meet in September. The Jury for the Arts opened the thirty-second edition of the Prince of Asturias Awards. The Award was conferred on the Spanish architect Rafael Moneo, “an acknowledged master in both the academic and professional field, Moneo leaves his own mark on each of his creations, at the same time as combining aesthetics with functionality, especially in the airy interiors that act as an impeccable setting for great works of culture and the spirit”. The Prince of Asturias Award for Social Sciences was conferred on the American philosopher Martha C. Nussbaum, “who has a profound knowledge of Greek thought, for her contribution to the Humanities, the Philosophy of Law and Politics and for her ethical conception of economic development”. The Prince of Asturias Award for Communication and Humanities was conferred on the Japanese video game designer Shigeru Miyamoto. According to the Minutes of the Jury, “Miyamoto is not only the father of the modern video game; thanks to his great imagination he has managed to create virtual dreams that enable millions of people of all ages to interact, generating new forms of communication and relationship capable of bridging ideological, ethnic and geographic boundaries”. The Prince of Asturias Award for Technical and Scientific Research was conferred on the British biologist Sir Gregory Winter and the American pathologist Richard A. Lerner “for their decisive contributions to the field of immunology and, in particular, for obtaining antibodies of major therapeutic value. As a result of their research, it is now possible to treat degenerative diseases and tumours with specifically designed antibodies, opening up new avenues for personalized medicine, preventive medicine and other applications such as chemical catalysis”. The Prince of Asturias Award for Literature was conferred on the US writer Philip Roth. According to the Minutes of the Jury, “characters, events and plots form a complex view of contemporary reality torn between reason and feeling, such as the sign of the times and the sense of unease about the present. His literary quality is displayed in his fluid, incisive writing”. 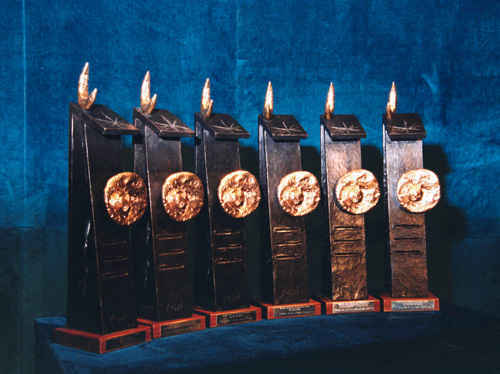 Finally, the Prince of Asturias Award for International Cooperation was conferred on the International Red Cross and Red Crescent Movement, “considered one of the world’s largest humanitarian networks, whose mission is to prevent and alleviate human suffering, protect life and health and ensure respect for the dignity of the people, especially in times of armed conflict and in situations of crisis and need”. Each of the Prince of Asturias Awards –conferred for the first time in 1981– comprises a Joan Miró sculpture representing and symbolising the Award, a cash prize of € 50,000, a diploma and an insignia. The Awards Ceremony, presided over by H.R.H. the Prince of Asturias, will be held in Oviedo in the autumn.